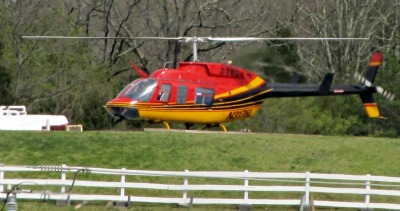 Helicopter rides over the Great Smoky Mountains National Park holds a magnificent view you can't see in any other way! These tours are an ideal way to see the beauty of the mountains as never before! Make your vacation a trip of a lifetime by adding one of these exciting rides! 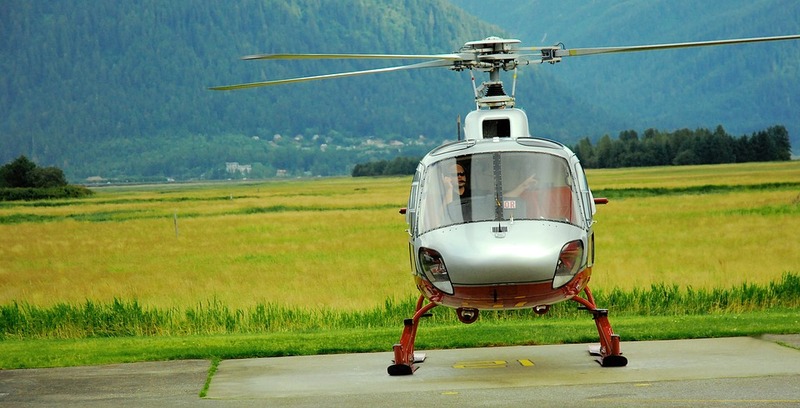 Without one of these great helicopter rides, a trip to the Smokies just wouldn't be complete! UP, UP, AND AWAY!!!! helicopter rides are an great way to view the park! Being surrounded by the Mountains is awesome! However, you won't have the whole picture until you've experienced the magnificent view from a chopper! 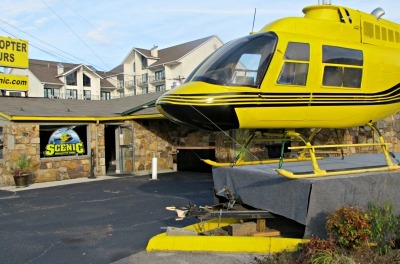 Scenic Tours is an excellent choice for a "bird's-eye" view of the Smokies! These black and yellow flying machines are a familiar sight here! That's because they've been flying folks over the mountains for 40 years! Flights are set up to accommodate your desire, time, and budget. These national park FFA, & National Park Service approved flights offer so much! Short flights are available, as well as mid-range, and long flights. Ride with professional pilots who are crossed-trained in flying and safety. Are you ready to sail into the "wild blue yonder??" The best view of the Smokies is by Chopper! Smoky Mountain Helicopter Tours fly over Cherokee, North Carolina, Gatlinburg, Pigeon Forge, Sevierville, and the Great Smoky Mountains National Park. Whether you're experiencing a flight for the first time, or going with a group, Smoky Mountain Helicopter Tours will show you the time of your life! They offer a variety of packages! Or, if you prefer, customize your own flight. For those special occasions like family reunions, birthdays, and weddings, add this exciting thrill! Ride across the skies for a "once in a lifetime" experience you won't soon forget! If you're looking for yet another way to "fly the friendly skies" in the Smokies, Sevier County Choppers of Sevierville will show you a great time! These flights can run from 4 minutes to an hour depending upon the tour you choose. Feel like a pro by wearing a headset provided free to each passenger! Not only do these headsets reduce noise, but they also give you an opportunity to talk with the pilot, or anyone else on board! Sevier County Choppers offer complete training classes! It's a great opportunity to learn to fly! Afterwards, if you want to purchase your own machine, Sevier County Choppers has a sales department! Buy your own Chopper! And when it needs to be serviced, your top-notch repair shop is Sevier County Choppers. 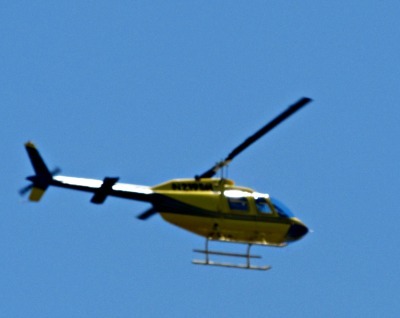 Most everyone interested in experiencing a ride on a helicopter wants to learn more about this scenic flying machine. Encyclopedia.com is an excellent resource for finding everything you want to know about the helicopter!